Planning Board has called a special session to hear public comment on our proposed Attention Homes Apartments. 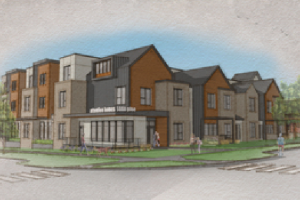 It is important we demonstrate support for our housing project and share why providing this kind of supportive housing is good for our youth and the Boulder community at large. Plan to be there by 5:30PM if you want to sign up for public comment. We need both bodies in attendance, and supporters willing to say a few words. You can speak for 30 seconds or up to 2 minutes or pool time with another for 4 minutes. This is an important moment to stand up for Attention Homes and tell the Planning Board that many in the community support this project. Please join us! Sign up here to be an ambassador for Attention Homes youth by attending the hearing to show support and/or speaking publicly at the hearing. Visit our Project Website & join a growing list of supporters!